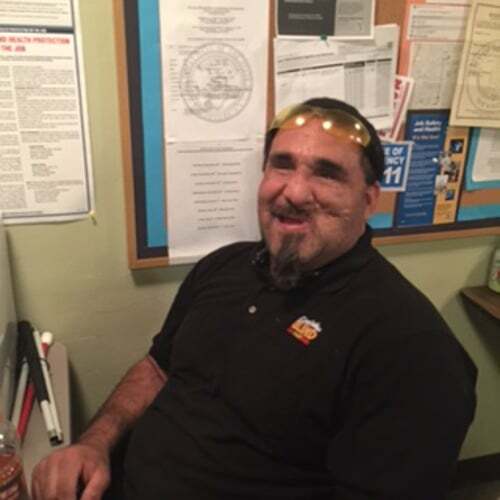 This is Walter Argueta, he is a member at the Blind Center of Nevada. Argueta lost his eyesight back in 2007 by a shotgun accident almost costing him his life. Grateful for the second chance, Walter’s path to greatness brought him to the Blind Center and now he plays an important role in his jobs here assembling pencil sharpeners and taking apart computers, the parts for which will be recycled to raise money for the Center. Argueta might have lost his sight but he has not lost hope. He strives for greatness and will continue to accomplish all of his goals.